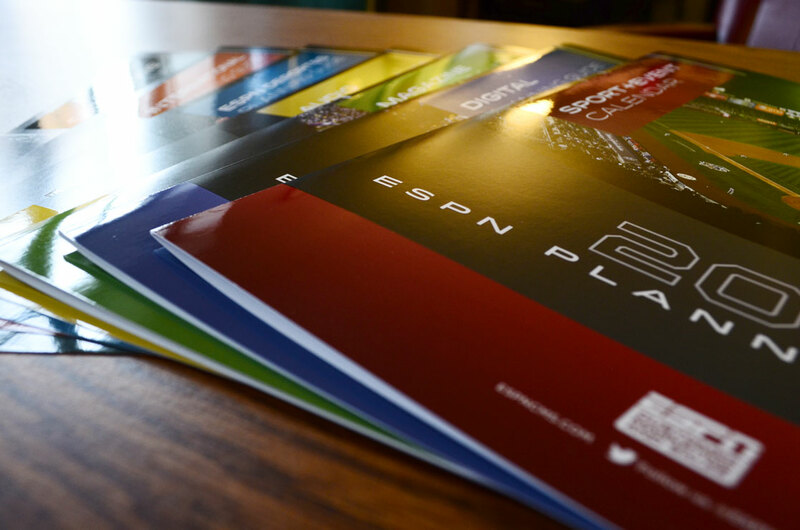 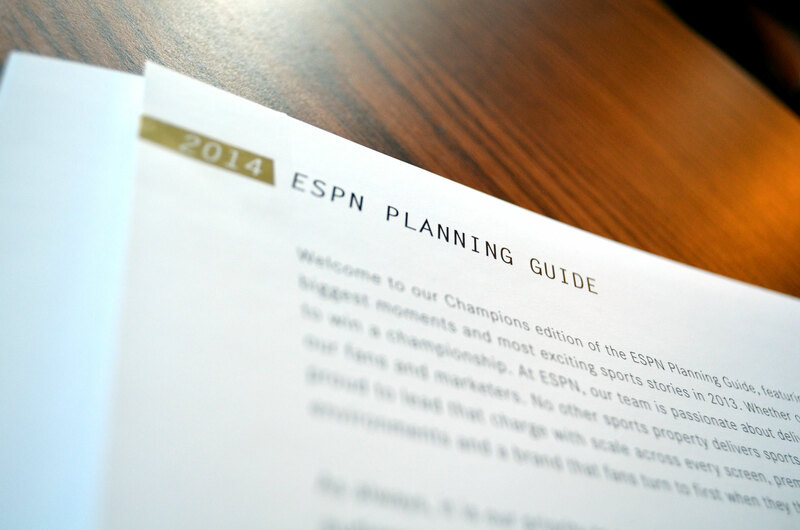 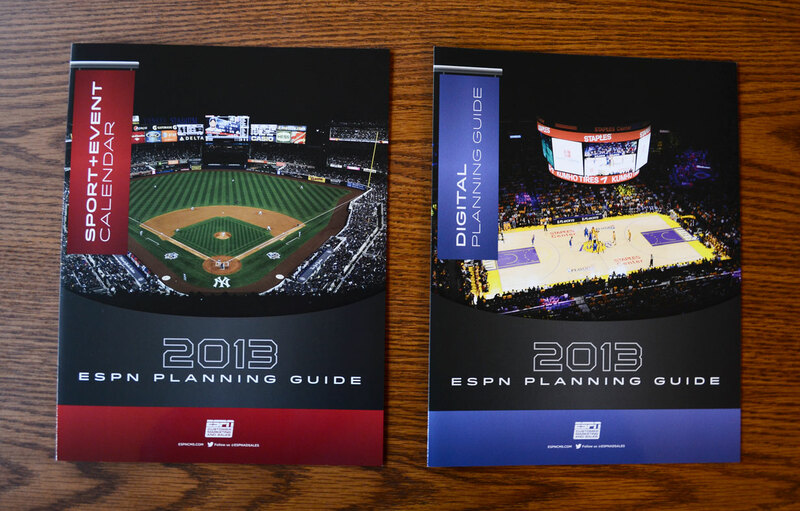 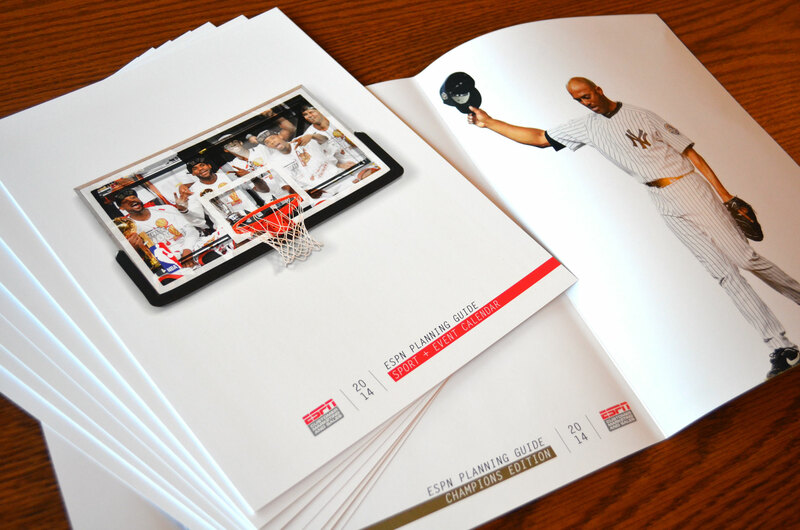 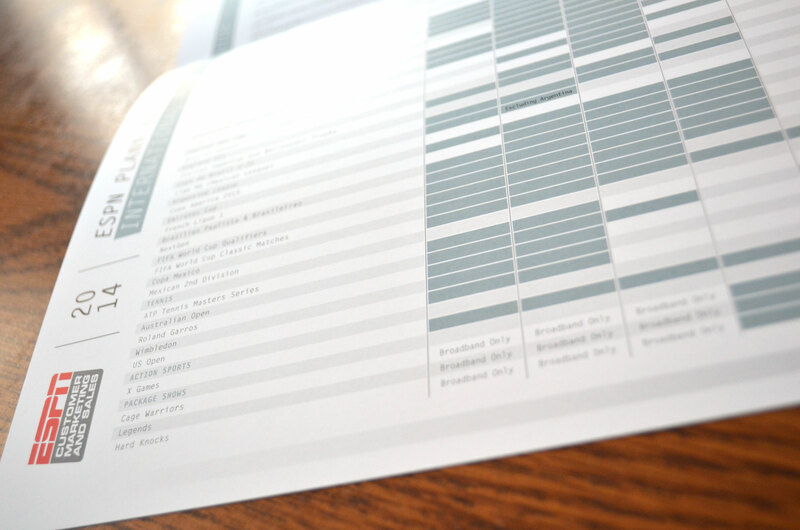 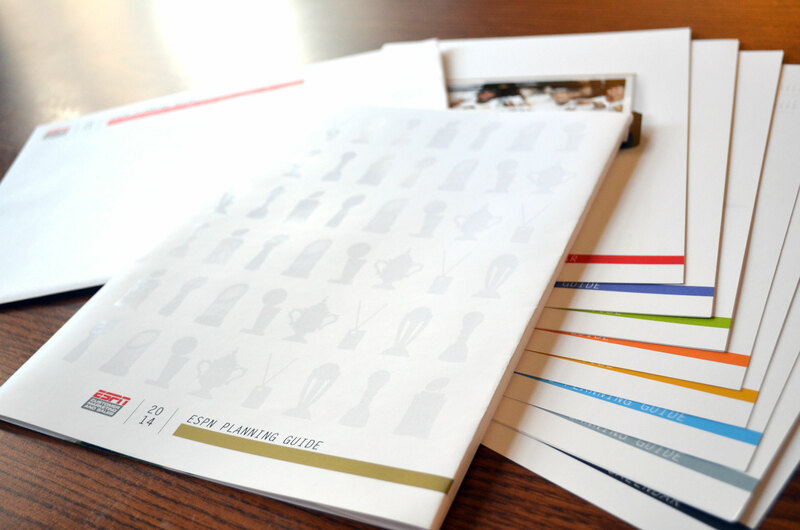 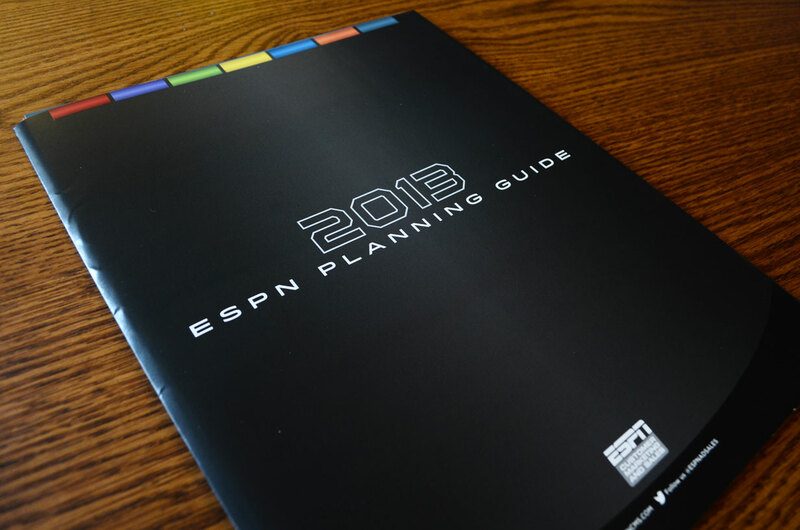 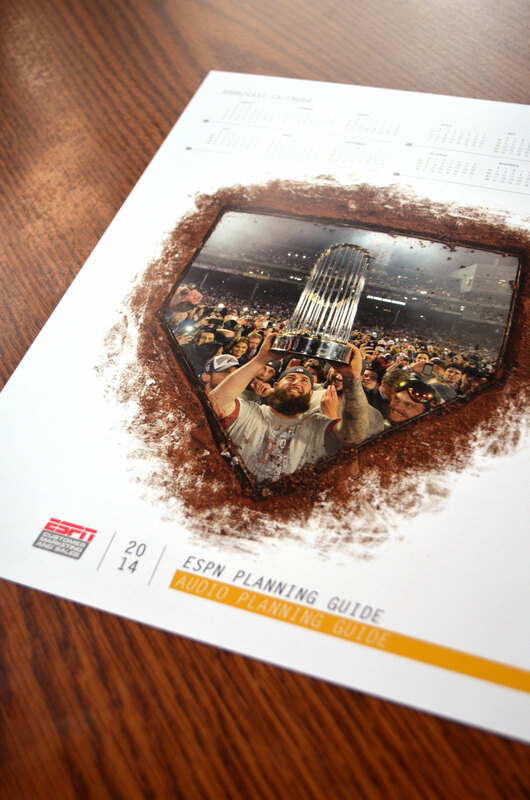 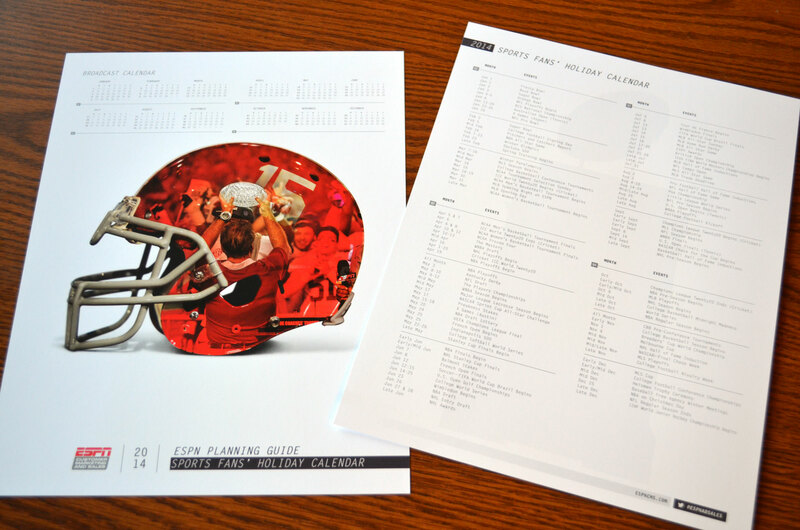 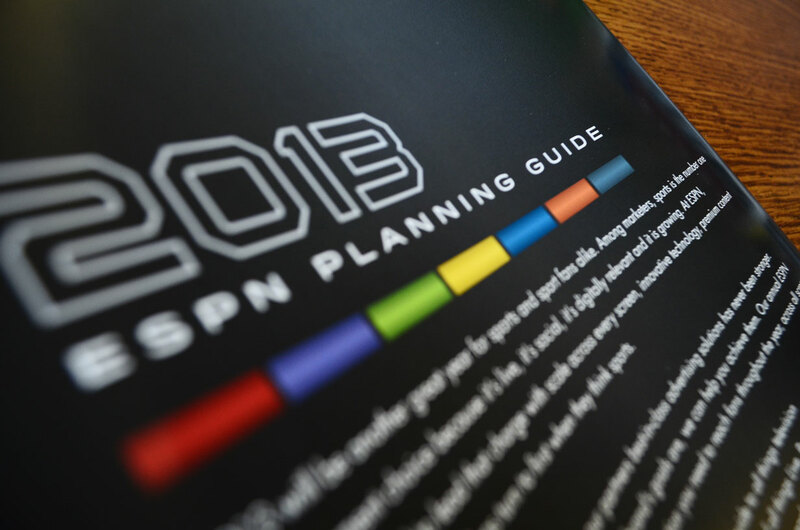 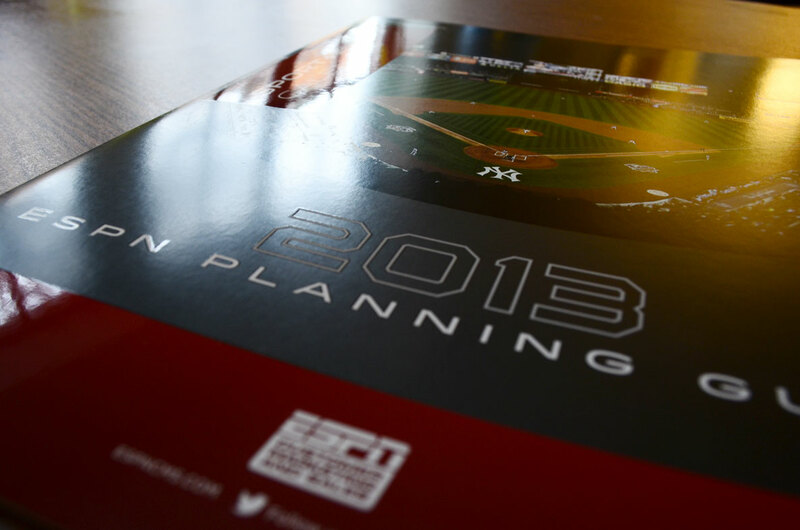 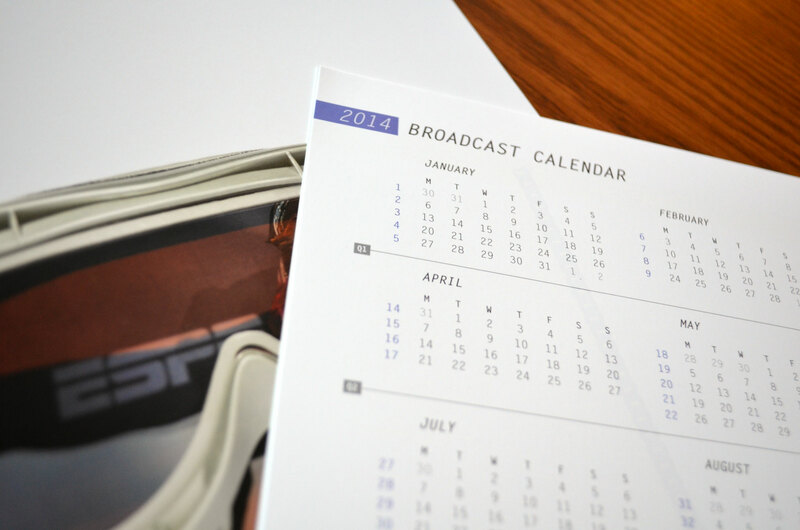 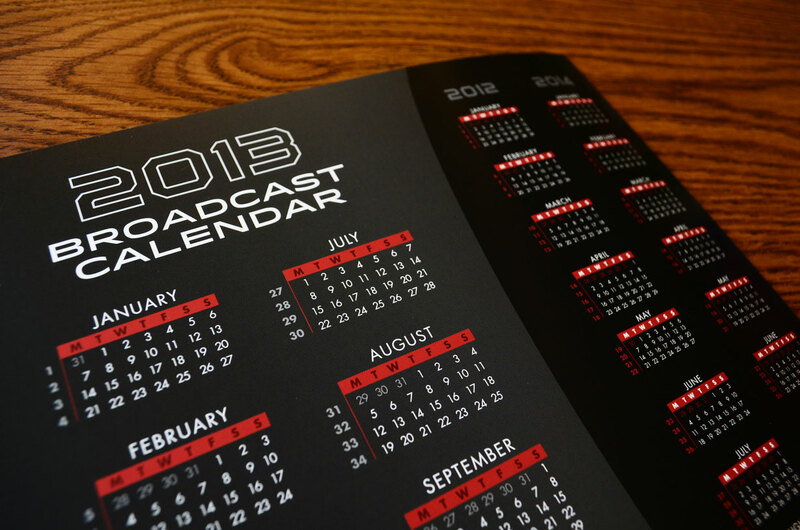 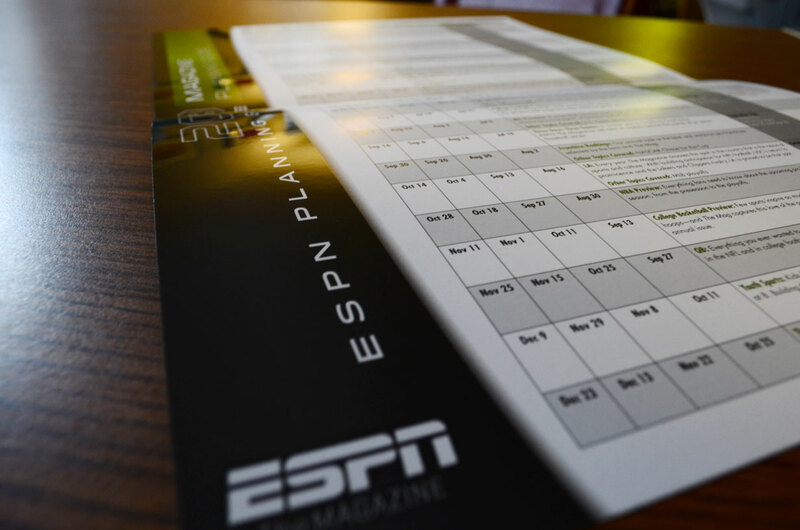 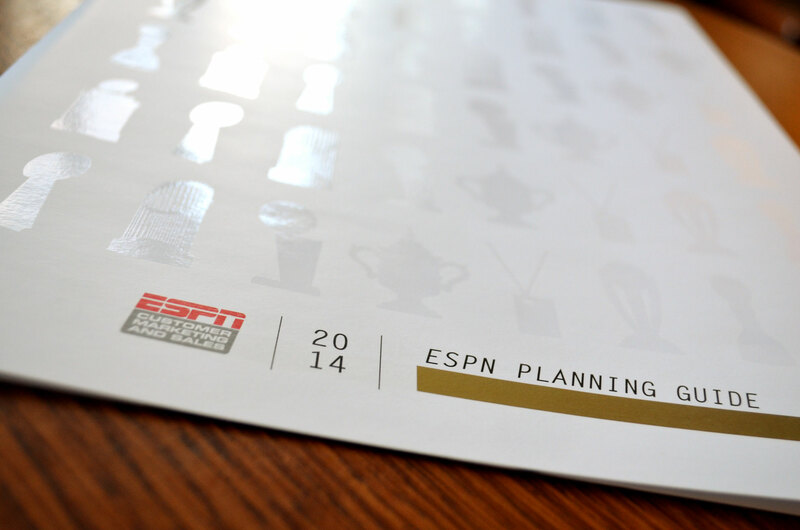 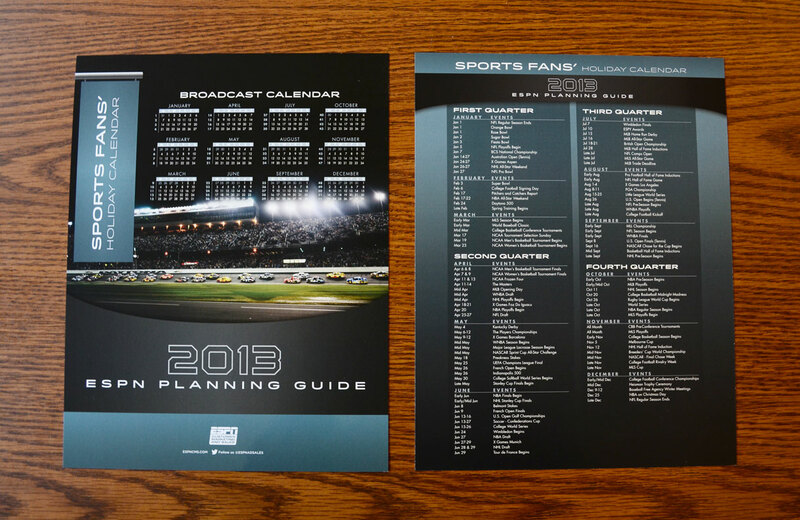 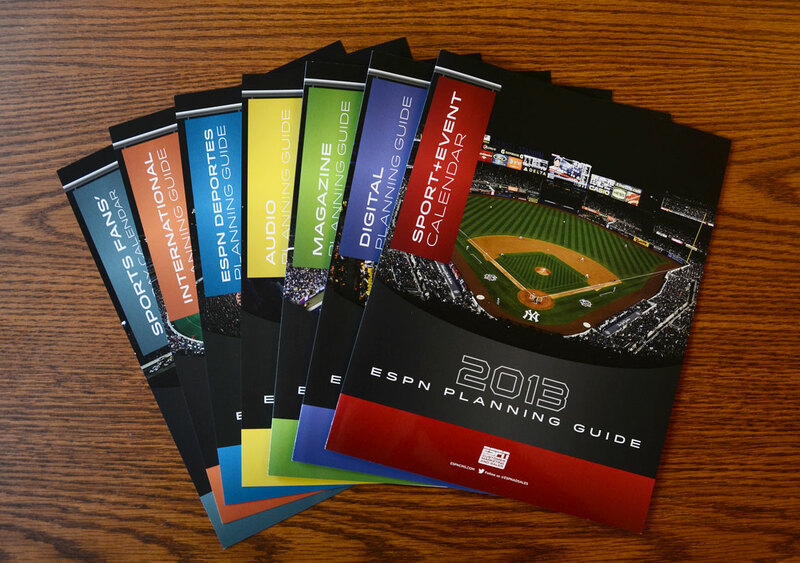 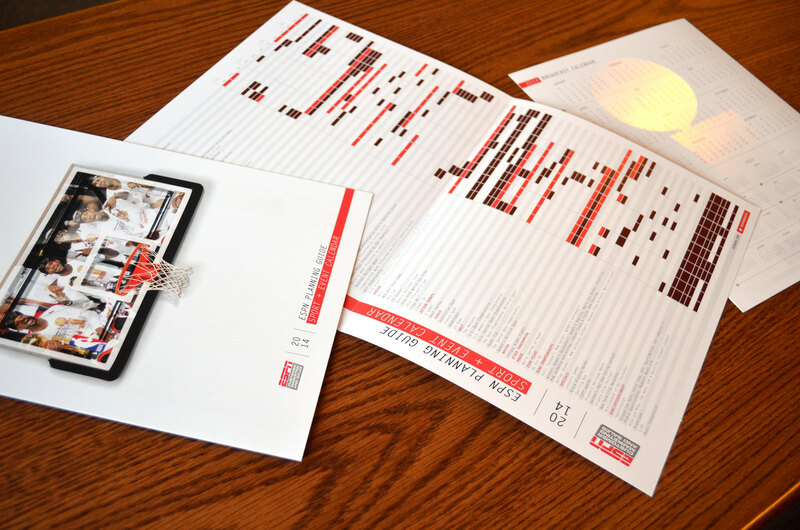 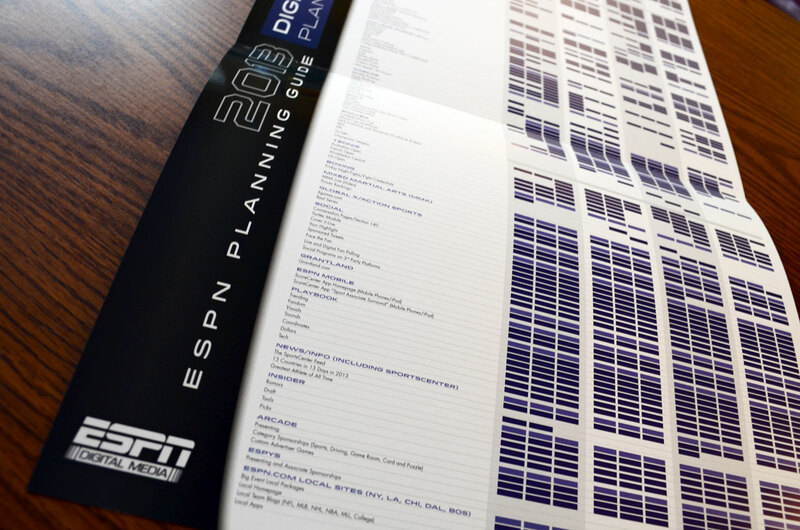 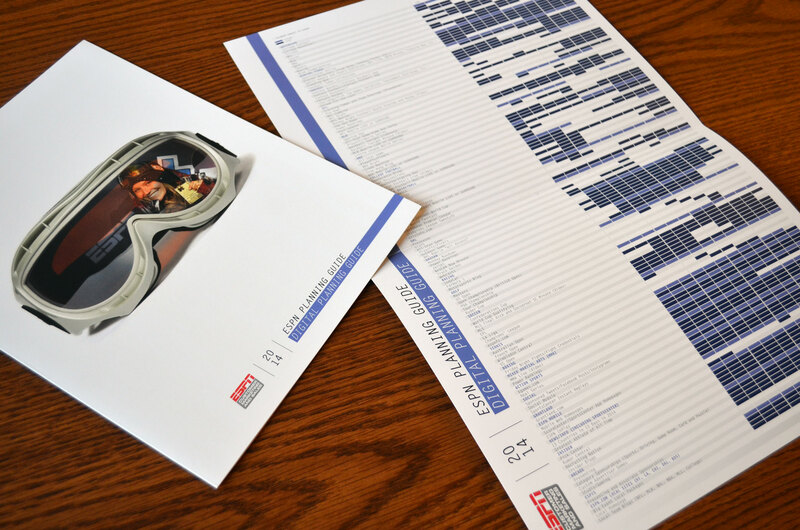 Barbour Design recently designed a media kit for ESPN, their annual Planning Guide. 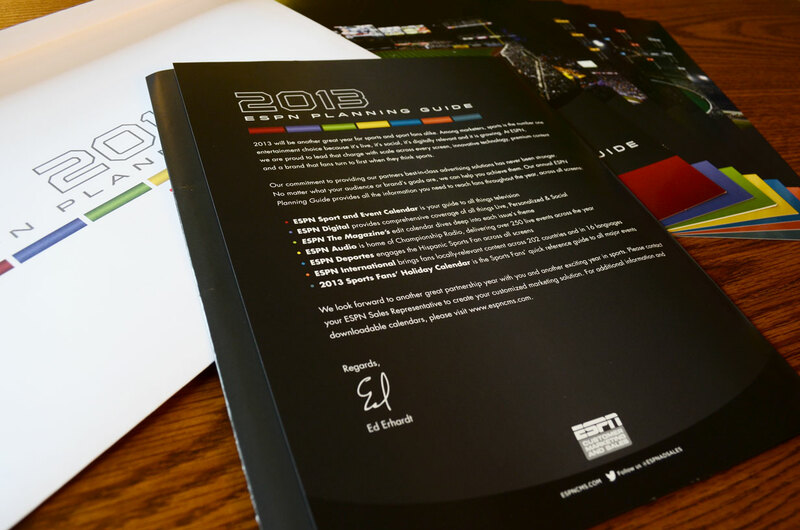 This year, the design was driven by some great stadium photography, paired with dark hues and contrasting vibrant accents. 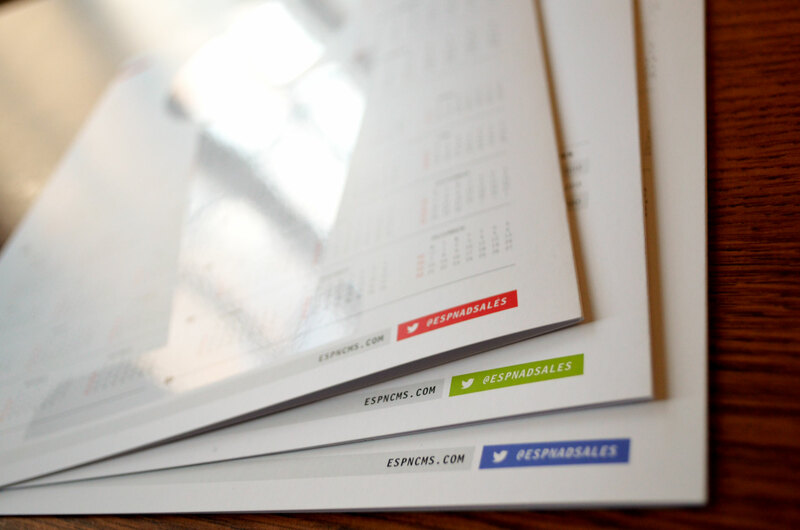 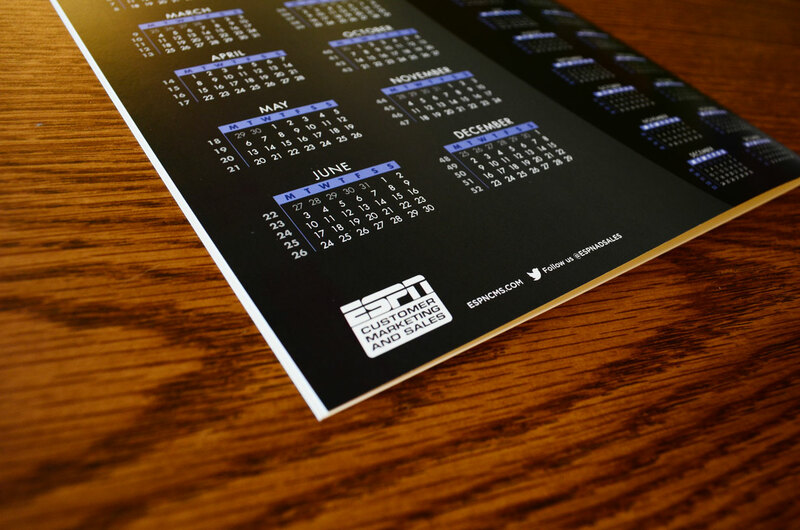 All materials were printed on a silk stock with dull varnish, plus a spot gloss UV for some punch.